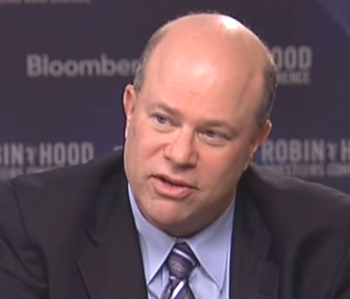 David Tepper, 2010’s top-earning hedge fund manager, likely filed that year one of America’s 400 highest-income tax returns. A new IRS report on 2010’s top 400 doesn’t name names, but does offer a striking glimpse at how phenomenally unequal the United States has become. This is just the latest incarnation of a concept that the AEI has tried to sell for the last 15 years-economic classism. That is, the concept that each economic classes that desire particular government services should pay for those services without the redistribution of resources from other economic classes. For the very wealthy the argument is that since they have no need of retirement support, public education, food support, and public medical care, that they should be relieved of any obligation to pay for those things. The corollary argument to this is that since the remaining services; police, corrections, highways, national security and the armed forces; benefit everyone equally (freedom and security is of equal value to each person) that taxes to support these should be on a per capita basis. You can see where this heads: everyone should pay per capita and consumption based taxes to support the “common services” and the poor should tax themselves to provide welfare, and the middle class should tax themselves for public education, retirement support, etc. and the tax rate on multi-millionaires falls to near zero. The next step on this progression will be that the rich should actually receive explicit government support because of their awesomeness. http://www.ssa.gov/cgi-bin/netcomp.cgi?year=2013 — where I had to approximate the percentage of low paid workers. The SSA report says the 37% of workers earn less than $10,000 a year. These low earners are mostly part-time workers, a fact that has to be considered. But, it’s easy to remember — 1 to 100,000. The ratio is about 1 to 6,600 comparing the top 400 with the average for full-time workers, who earn about $40,000 a year, the median for full time workers. If you closely at the CBO report, page 9 and 10, you’ll see that $7,900 is the average market income for the lower quintile of households, $1.4 million for the top 1%. On page 10 you find that safety-net income is only 19% of the average income for the lowest 20%. This 19% equals $4,674, and is the social safety net income, Medicaid and “Other cash and In Kind” benefits. Therefore almost $20,000 of the “before tax income” for the lowest quintile, is non-safety-net income. About 1/5 of before tax income is safety-net income, 4/5s is Social Security, Medicare, and Labor, etc income. I study this, as might be obvious, and I find that the compensation system really does not make much sense. It would make sense to me to raise the EIDC until the effective minimum wage was $20 an hour. If the minimum wage had tracked productivity as perfectly as it did between 1947 to 1976, then it would be over $20 an hour. Also, I almost forgot, and everyone does forget, the household net worth — savings not income — exploded since 2008. If one calculates that into the equation, everything looks disgusting, my scientific assessment. An additional $28.4 trillion since 2008 must be added to the total net worth, and I’d say 75% goes to the top 5%, and to those top 400, it is not recorded in the IRS figures. It is unrealized capital gains. It looks just like income, but it is stock not cash income. Look at the recent essay at my blog, http://benL8.blogspot.com. Thanks. Income for 400 surpasses income for 40 million. OK, that’s better. The hypocrisy of Democrats and liberals of this era has been especially striking in their “inequality” discussion, which has remained restricted to the gap between the better-off and the rich. In the real world, not everyone can work (health, etc.) and there aren’t jobs for all. The US shipped out a huge number of jobs since the 1980s, and the Clinton Democrats ended actual welfare in the 1990s. Liberal media ended any legitimate examination of our poverty crisis. The middle class applauds the inequality between the poor and the better-off, the middle class.